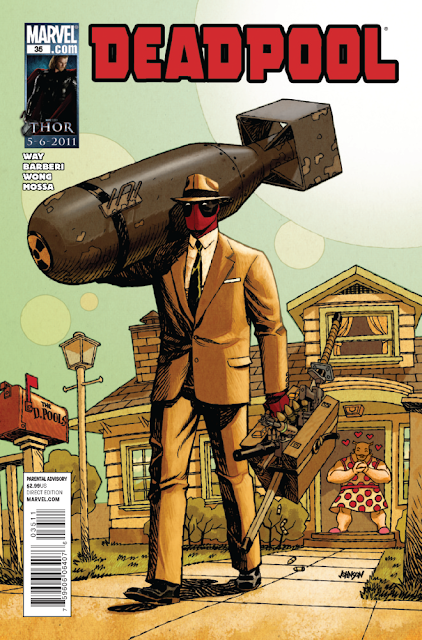 Deadpool #35 comes out tomorrow April 13, 2011. A preview of this issue can be seen here. Okay, so Round One of Deadpool’s epic battle with the bizarre intergalactic entity known as Id the Selfish Moon didn’t exactly go as planned but then again, with Deadpool involved does anything ever go as planned? With his reputation on the line, it’s now time for Deadpool to put up or shut up. Guess which one he’s not gonna do?